For some investors natural gas remains an exciting frontier. Read on for an in-depth look at why natural gas investing can be compelling. Natural gas is a hydrocarbon, which means it is made up of compounds of hydrogen and carbon. It can be found by itself or in association with oil, and is one of the cleanest, safest and most useful forms of energy in our day-to-day lives. The US Energy Information Administration (EIA) says natural gas is the most widely used fuel for space heating in the US; it has also started to beat out coal as the top fuel for power generation. Even so, demand for natural gas around the world can be volatile, as it is very much dependent on the weather. However, for some investors natural gas remains an exciting frontier. Read on for a more in-depth look at why natural gas investing can be compelling, and for a brief overview of how to start investing. As mentioned, volatile natural gas demand often leads to big spikes and declines in natural gas prices. At the end of 2017, analysts were predicting that a decrease in production could reduce inventories and drive up demand; other experts expected prices to remain low over the next few years. Still others now see growth on the horizon, as noted in a Global Market Insights GCC natural gas report. Of course, any number of factors could cause the natural gas market outlook to change. A key part of the picture that investors will want to be aware of is US President Donald Trump’s pledge to make energy a central part of his agenda, evidenced by the tariffs and levies he has instituted. All of that uncertainty may be daunting, but investors interested in the natural gas space should not necessarily be discouraged. After all, while prices for the fuel can reach incredible lows, they can also climb to incredible highs. Investors who make the decision to invest in natural gas have plenty of ways to gain exposure to the fuel. Exchange-traded funds (ETFs) are one possibility, and buying futures contracts and investing in natural gas companies are others. According to CommodityHQ, the most popular natural gas ETFs include the United States Natural Gas Fund (ARCA:UNG) and the First Trust ISE Revere Natural Gas ETF (ARCA:FCG). It is worth noting that some ETFs offer exposure to both the oil and gas markets simultaneously. Investors considering investing in natural gas futures should be aware that these contracts are very liquid, and extremely active throughout the week. Trading in natural gas futures is generally heaviest on Thursdays, when the US Department of Energy releases its weekly natural gas storage report. Some of the top natural gas futures contracts include: NG Henry Hub Natural Gas Futures, QG E-mini Natural Gas Futures and Delivered Natural Gas Futures. Lastly, investors can opt to invest in companies involved in the natural gas market. As with ETFs, many companies that are exploring for or producing natural gas are also focused on oil. It is difficult to find companies that are aimed purely at natural gas. That said, CommodityHQ has identified a few large companies that focus primarily on natural gas. They are: Stone Energy (NYSE:SGY), SandRidge Energy (NYSE:SD) and McMoRan Exploration (NYSE:MMR). In terms of other natural gas companies to follow, analysts at JPMorgan (NYSE:JPM) have suggested watching Anadarko Petroleum (NYSE: APC), Devon Energy (NYSE:DVN), Range Resources (NYSE:RRC) and Pioneer Natural Resources (NYSE:PXD). 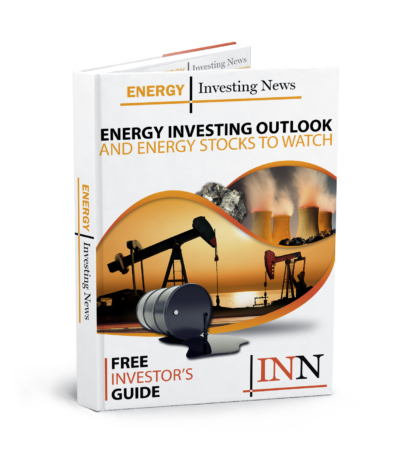 Goldman Sachs (NYSE:GS) analysts have identified Southwestern Energy (NYSE:SWN) as a top stock to watch during the winter months.